Phone interview questions fall under several different categories, ranging from simple interview questions that a job prospect can answer from the top of their head, to more complex scenarios that take some thought to answer. 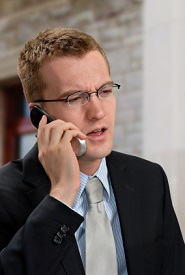 Many different interview questions can be asked during a phone interview. It’s always a good idea to seek the services of a job counseling center, agency or to invest in some interview coaching material that assists job seekers with interview skills and finding employment. Most of these agencies provide their services for an affordable fee or at no charge at all, and a session or two with them can help you immensely when you go for a job interview. No matter what telephone interview questions an interviewer asks you, always remember to answer truthfully and thoroughly. Keep a positive attitude, take your time with each of the phone interview questions and relax. Personal Questions: Interviewers want to know about you as a person. They’ll begin the phone interview questions and answers portion of the interview by asking you a little bit about yourself. This not only gives them some insight into who you are, but also helps break the ice and help all involved parties to relax. Expect questions about your employment history, your educational background, and your career goals. You may also be asked about your volunteer activities and professional memberships. Job-Related Questions: Interviewers want to know what type of experience you have on the job. You will be asked some phone interview questions about your duties at other jobs systems and software that you have experience with. This helps the employer get an idea about what kind of training will be necessary to get you up to speed once you begin the job if you are hired. It also obviously tells them if you are qualified for the position. Strengths and Weaknesses: A common set of phone interview questions that is asked by prospective employers is what you perceive to be your strengths and weaknesses. Everyone likes to discuss their strengths, but most applicants have a hard time coming up with weaknesses to share. Everyone has something that they need to work on however, so spend some time thinking on this question before you interview. Remember that a weakness should be something positive that you could improve upon. Job-Related Scenarios: Many employers will come up with some job-related scenarios and ask “What Would You Do?” For example, if you are applying for a job as a teacher, you may be asked what teaching techniques you would use with a student that is having difficulty grasping a concept in the classroom. A truck driver might be asked what they would do in a certain traffic situation. Don’t stress over these phone interview questions – just answer as thoroughly and honestly as possible.